Full Text Made available under a CC BY-NC-ND 4.0 license with support from Knowledge Unlatched. Deportations by train were critical in the Nazis’ genocidal vision of the “Final Solution of the Jewish Question.” Historians have estimated that between 1941 and 1944 up to three million Jews were transported to their deaths in concentration and extermination camps. 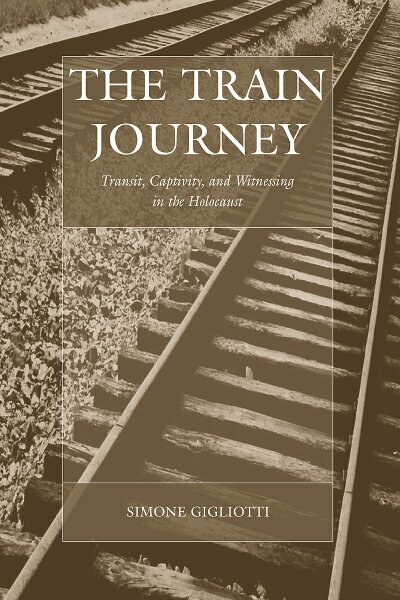 In his writings on the “Final Solution,” Raul Hilberg pondered the role of trains: “How can railways be regarded as anything more than physical equipment that was used, when the time came, to transport the Jews from various cities to shooting grounds and gas chambers in Eastern Europe?” This book explores the question by analyzing the victims’ experiences at each stage of forced relocation: the round-ups and departures from the ghettos, the captivity in trains, and finally, the arrival at the camps. Utilizing a variety of published memoirs and unpublished testimonies, the book argues that victims experienced the train journeys as mobile chambers, comparable in importance to the more studied, fixed locations of persecution, such as ghettos and camps. Simone Gigliotti is Senior Lecturer in History at Victoria University, Wellington, New Zealand. Previously, she held a Charles H. Revson Fellowship at the Center for Advanced Holocaust Studies at the U.S. Holocaust Memorial Museum. Among other publications, she is the co-editor of The Holocaust: A Reader (Blackwell Publishing). The Train Journey by Simone Gigliotti is available open access under a Creative Commons Attribution-NonCommercial-NoDerivatives 4.0 International License (CC BY-NC-ND 4.0) with support from Knowledge Unlatched.